The Tarbes pendant light sees three lampshades, each with an E27 socket and made from thin wire, hang down at different heights from the round canopy. The result is an extraordinary appearance that is both modern and rustic. 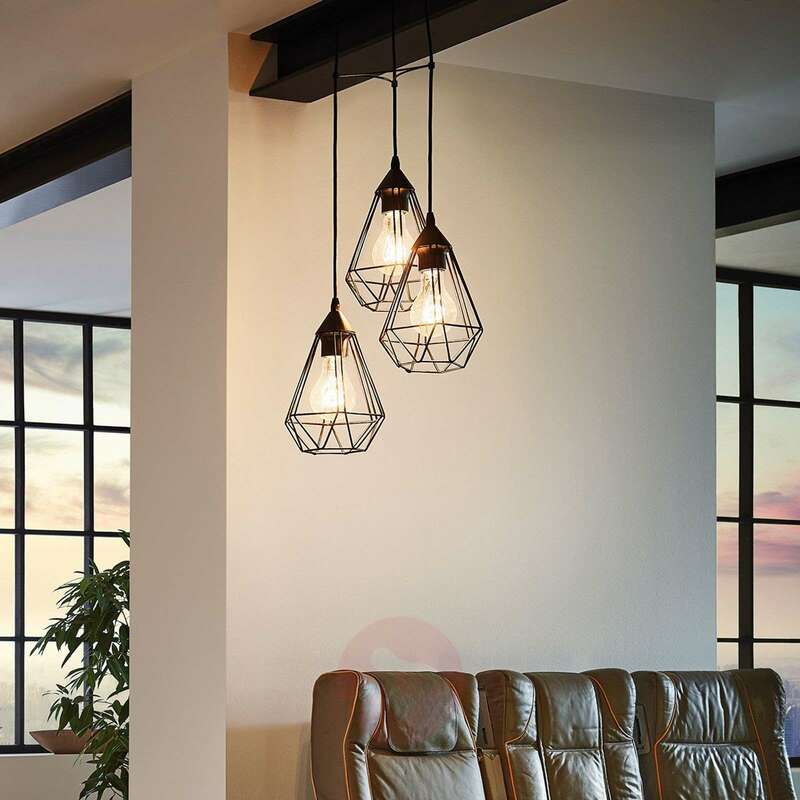 The fact that the lampshades have an open design means that you have a clear view of the light bulb in places, so that it can really come into its own. As such, it is ideal if you combine the E27 sockets with globe lamps. 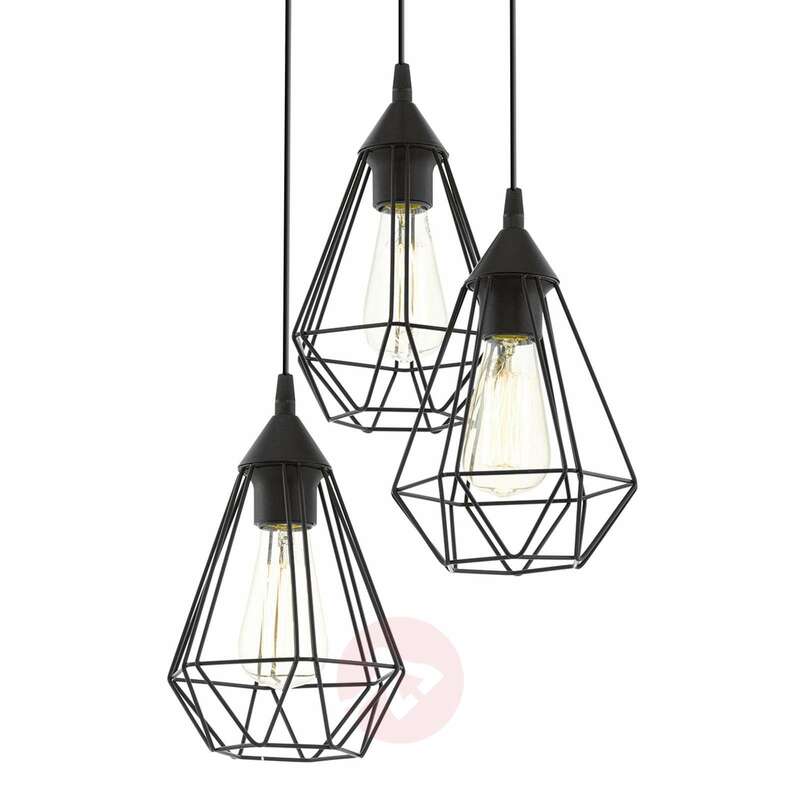 These can be ordered from the Accessories section of the website, together with other suitable light bulbs. 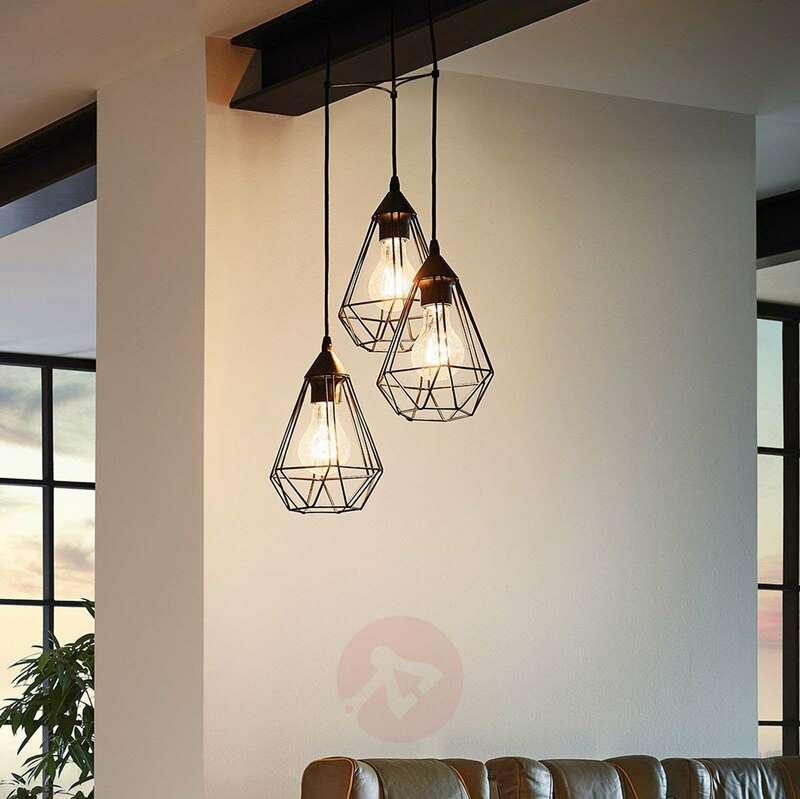 Is there a 1 bulb version of this ceiling light (not a table lamp)? 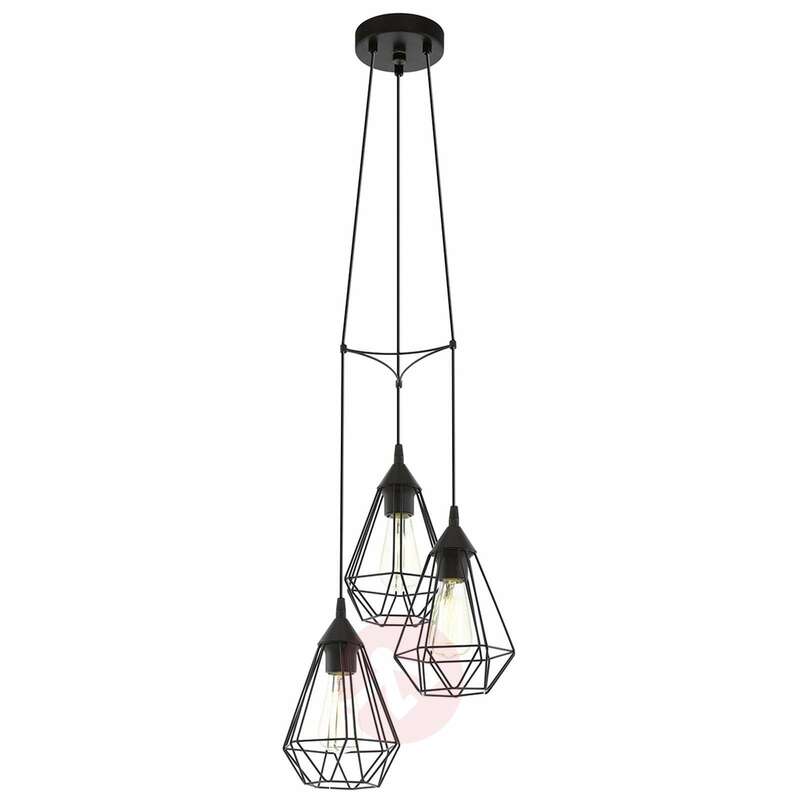 Unfortunately we do not have the single bulb pendant light from the same manufacturer however we can offer you the following product alternatives 9621225 & 9621153. Unfortunately, we don't have this as 5 or 6 lights version. We have it only in this 3 light or 1 light versions. The suspension length of this unit is adjustable upon installation. However, once installed you cannot re adjust. The minimum distance will be determined by the triangle divider in the light unit. I bought a few weeks ago but just got installed now. It's beautiful and gave a new mood to our dinning room. I'm very happy with the product. The lights look great, good quality, I am pleased with my choice. Easy to fit, delivery good.